Commissioned by the Senhouse Museum Trust, the team of archaeologists and volunteers is led by Newcastle University’s Professor Ian Haynes and site director Tony Wilmott. This is the fourth year of a five year programme of investigation. 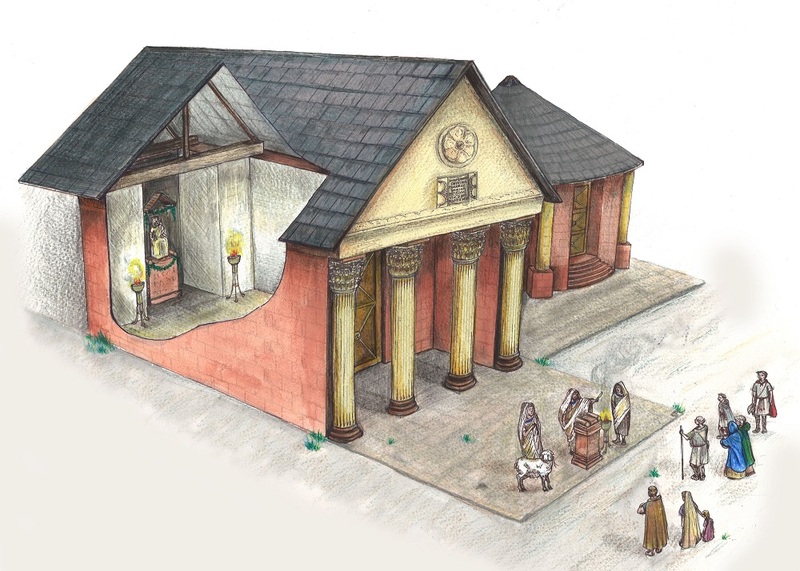 “The Temples project is designed to learn more about the internationally famous altars which form the core of the Senhouse Roman Museum display and to understand better the complex religious landscape of Roman Maryport,” said Ian Haynes. “The collection of altars in the museum is really remarkable. The inscriptions provide information on the lives of the commanders of the fort and their postings across the Roman empire. “We want to find out more about exactly where and how they were originally displayed here in Roman times, and how people living in the fort and settlement used rituals such as dedications and offerings. “This year we will be looking at the eastern edge of the settlement, to the north east of the fort, where at least one temple stood. This structure was originally excavated in the 1880s, and we re-examined it last year. “Immediately under this building we found the remains of a burnt lamb and bird bones. At other sites across Britain and in other countries these have signified a ritual dedication or offering for the building. Rachel Newman of the Senhouse Museum Trust said: “We’re delighted to welcome Ian and Tony’s team back to the Temples site including our volunteer excavators who are absolutely essential to the progress we make during the season. Nigel Mills, heritage advisor to the Hadrian’s Wall Trust said: “The Roman fort and nearby civilian settlement at Maryport were a significant element of the coastal defences lining the north western boundary of the Roman Empire for more than 300 years. The museum cares for and displays the Netherhall Collection and other collections of Romano-British objects from West Cumbria. It develops permanent and temporary exhibitions, has a growing public engagement programme of events and activities for the general public, specialist groups and education groups, and a proactive research programme on the collection and the site it was recovered from. The Netherhall Collection, which was begun by the Senhouse family in the 1570s, is the oldest private collection in the country, and is of international importance. The museum displays the largest group of Roman military altar stones and inscriptions from any site in Britain and unique examples of Romano-British religious sculpture. It is run by the Senhouse Museum Trust. The Roman fort and civil settlement at Maryport are part of the Frontiers of the Roman Empire World Heritage Site which includes Hadrian’s Wall and its attendant forts.